See who passed on Facebook! If you would like to book your theory or practical test, please use the links below. Remember to contact Brian to check your not double booking your test date. You can also access the show me tell me questions below to prepare for your test. 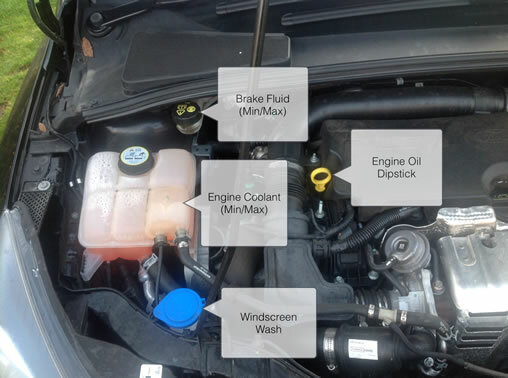 In your Show Me Tell Me questions you are asked to identify certain things under the bonnet. The picture below highlights where these are. For more information about driving lessons in Dundee, please do not hesitate to contact Signals Driver Training today on 07912861878 or complete the form on the "get in touch" page and I will get back to you ASAP.